I did a drawing of these two a few years ago from the first movie, just sitting on steps chatting between takes. I saw this image and loved how it was kind of a sequel to it, which was from the sequel. 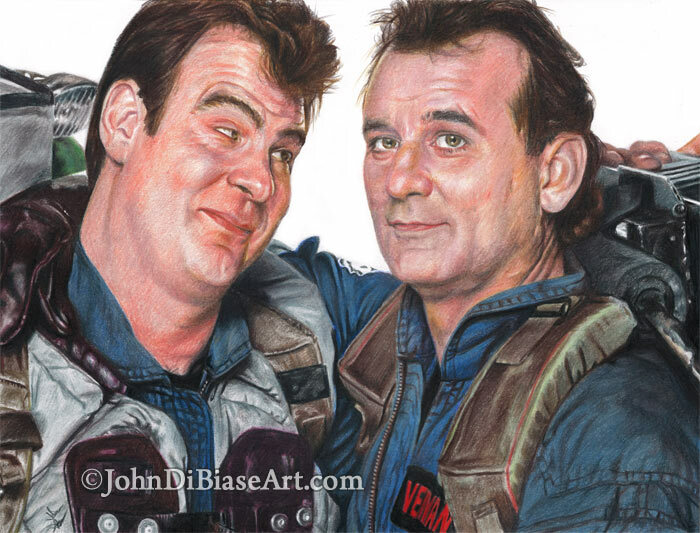 And I thought it’d be fun to do as my first all-color Ghostbusters portrait. And, as Sony debuted the abhorrent new trailer from the franchise’s completely unnecessary reboot for this summer, this drawing served as my passive reinforcement that there were only two Ghostbusters films ever made.